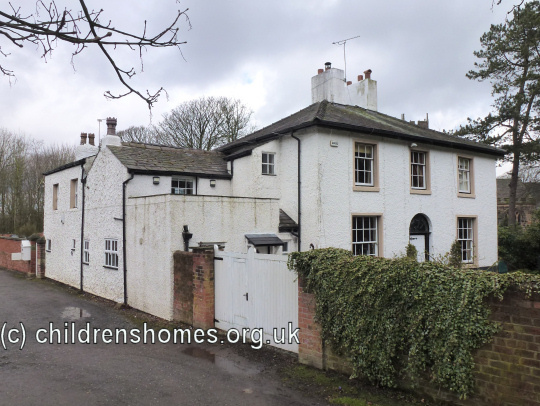 The Preston Ladies Industrial Home for Girls, at Yarrow Cottage, Carr Lane, Croston, near Preston, was opened by Lord Winmarleigh on September 11th, 1884. Run by the Preston Ladies' Association, it was intended as a training institution for friendless girls and young women. On November 10th, 1884, the establishment was certified as an Industrial School, allowing it to receive girls placed under detention by the courts. The Home, which had accommodation for up to 30 girls, was superintended by Miss Annie Gifford, assisted by Miss C. Gifford. An initial inspection report noted that the premises consisted of a substantial cottage, with a good garden and grounds. The girls were attending the nearby vicarage school. Extensions to the building in 1888 included a new wash-house and ironing room, and some additional dormitory accommodation. The older girls assisted in the kitchen and laundry, and in keeping the house clean and tidy. All learned to knit and to do plain sewing. In 1891, the superintendent was now Mrs Grigson, with Miss Greenhorn as assistant matron. The following year, Miss Tucon had taken charge, assisted by Miss Madden. For reasons that are not clear, the Home was closed in the early part of 1893. The property is now a private residence.